Project 13800 features four decks, with lots of exterior deck spaces allowing for multiple entertaining areas for the owner and their family. The interior features intricate details with custom furniture design by Pollaro. “We are really excited to rekindle our long-standing relationship with Lürssen to work on the first interior and exterior collaboration since Coral Island in 1994. "Project 13800 marks an important step into a new market segment for both Bannenberg & Rowell and Lürssen and we greatly look forward to her launch in spring 2021”, states Dickie Bannenberg. Lurssen is currently actively targeting projects between 50-60 metres and the successful completion of Project 13800 is a first step in reestablishing the brand as a serious proposition for yachts in that size bracket. 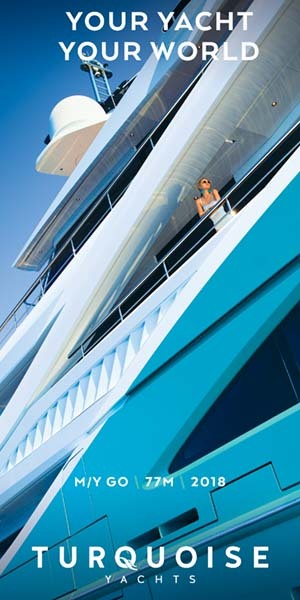 “As long as it is a bespoke yacht, Lürssen is the right shipyard. As a result of our enhanced activities in this size bracket we are today engaging with many clients.” Peter Lürssen added.